STOP!!!! This story will make no sense unless you follow this link to John Hansen’s story first, Dead Birds Everywhere. We teamed up to write a flash fiction story. John started off with a compelling story for a few hundred words, and it was a lot of fun on my part to pick up in the middle and carry it on. Kyle didn’t move, not wanting to invite another clubbing. The figure drifted out of his sight, and he could hear a shovel scraping on concrete. After a couple of minutes, there was silence. “What did you do with the feathers?” Kyle jumped. The voice was guttural this time, the words short and sharp, spoken directly into his ear. “I—I have no idea—what you’re talking about,” answered Kyle. Kyle thought back to what must have been the previous night. 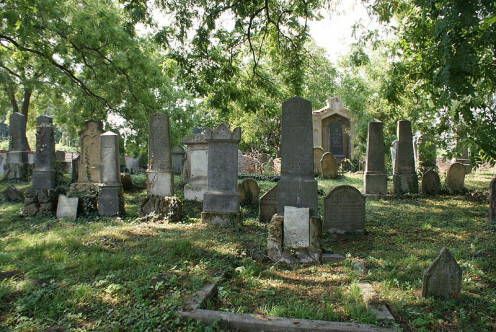 He had been visiting his mother’s grave in the old cemetery on the edge of town. It had gotten dark, and he was making his way through the shadows of gnarled cedars. The musical sound of thousands of wings engulfed him just prior to the strike to his head. “Are you telling me that birds carried me here? The figure moved into Kyle’s vision, the hem of a black robe dragging across the floor. A hood shrouded his head, except for the long, beak-like nose, and Kyle knew then what corvidae corvus meant. They were crows. The figure turned toward Kyle and held out a single black feather which he let fall and gently blew, so that it drifted to Kyle’s bare leg. “Go now, and raise for me another force of corvidae corvus. Kyle, opened his mouth to object, but only succeeded in emitting a short, caw. Then he flew through the small, solitary window high on the eastern wall. I was born and raised on an Indiana dairy farm, became a Michigander and now travel all over the US as atraveling laboratory tech.I write every day and cover as many genres as I can.Short fiction is my favorite, but I'm dabbling in a longer piece as well.One of my writing guidelines is to be as creative and original as I possibly can be.Sometimes that leads to some strange stuff. At the end of each of my stories there is a place to sign up to follow me on The Creative Exiles.I invite you to do this so you can be notified each time I post a new story.Thanks for visiting The Creative Exiles website. I was born and raised on an Indiana dairy farm, became a Michigander and now travel all over the US as a traveling laboratory tech. I write every day and cover as many genres as I can. Short fiction is my favorite, but I'm dabbling in a longer piece as well. One of my writing guidelines is to be as creative and original as I possibly can be. Sometimes that leads to some strange stuff. At the end of each of my stories there is a place to sign up to follow me on The Creative Exiles. I invite you to do this so you can be notified each time I post a new story. Thanks for visiting The Creative Exiles website. Marvelous ending to John’s story. The two of you did very well in this collaboration, Chris. I love this kind of mystery, where the ending is quite shocking and very interesting. Great job, Chris. Thank you, Phyllis. John set this story into motion with a strong foundation. My part was easy because I already had a lot to work with. Both you and John did great on this one. Will we see more collaboration in the future? William, Thanks for reading and for the compliment to both John and me. We would like to see more collaboration on the site. I am most certainly interested in working with John again as well as with any other person on the site. A chain story or poem with more than two would be interesting. I’ve always had a passion for Raven’s, one of the most, if not the smartest bird on our planet. You don’t mess with them for sure, they have been proven to be very resourceful as well as vengeful. I loved this ending and Kyle’s cawing and flying to his masters command. Well written by the both of you, the collaboration worked very effectively. Well done Chris and John. Hope to see more. Vincent, when I wrote this, I also wrote an article about crows/ravens and learned some of the things you have mentioned. Some researchers place the intelligence of these birds equal to or greater than that of whales and dolphins. Probably they aren’t competing with humans simply because of the opposable thumb issue 🙂 Thanks for the comment and for reading. In my writing area, I have two paintings hanging on my wall. 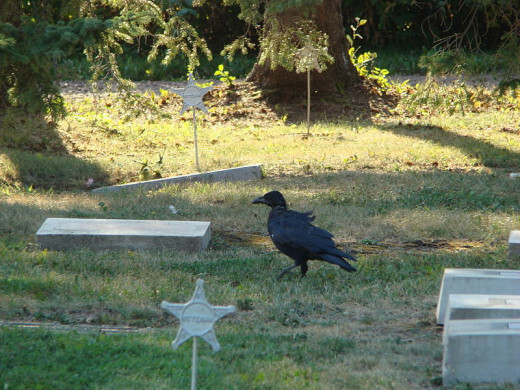 One of Edgar Allan Poe, the other of a flight of Ravens taking flight. I live on the top floor of an apartment. Penthouse overlooking my city, often I will hear cawing outside on my balcony, it’s my friends arriving to perch and chat with me. I’m always inspired to pen when I see them. They know I am their friend, not a foe. I have a peaceful feeling about me when they come to visit. So yes indeed, they are very intelligent birds and I deeply respect that. I read that these birds actually recognize one human from others. They memorize facial features. For a wild animal, this is apparently quite advanced. Your birds do know you, probably better than you may even guess. Chris, I read that crows not only use tools, but can make them. I saw this myself several times out back of my patio. We have a lot of crows here, several families, each with their own tree. When the grass is too long and a crow cannot get a piece of fruit or bread that has sunken down in the grass, it will go find a twig, make it thinner by taking pieces off then poke at the morsel till they get it up. Amazing creatures. I also hope we have more challenges and collaborations from you and John. So fun! That was great guys, compelling in every word. Amazing what comes out of minds and the paths we take in imaginations. great work to both. High Five!! Looks like this collaboration went down well, and I hope it inspires more of the same. That chain story sounds like a great idea, Chris. I’m ready for a chain story any time, John. Let’s recruit at least one more writer and see what happens. Maybe one other person could pick some prompts. Ah, ha, I could just see him changing and flying out the window. You guys did a great job on this! Mystery and excitement!